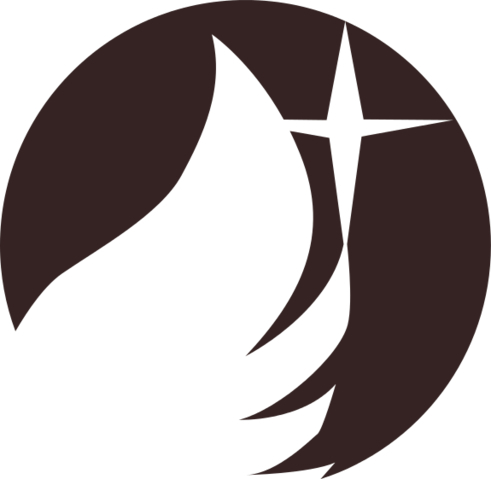 What are the logos for the Jedi ranks? 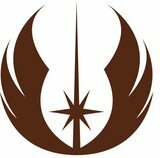 I've researched a lot and didn't found many logos for Jedi ranks. 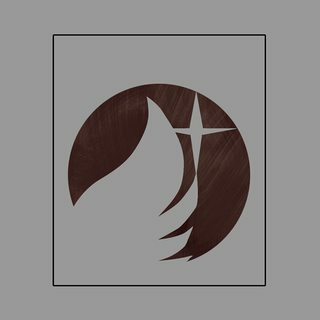 This is list of ranks I found, but not many logos. The chart presented in the question is a fan construction, with only minimal support from Star Wars lore. Although there were a wide variety of Jedi and Sith ranks in Legends material, the rigid hierarchy implied in the question simply didn't exist. 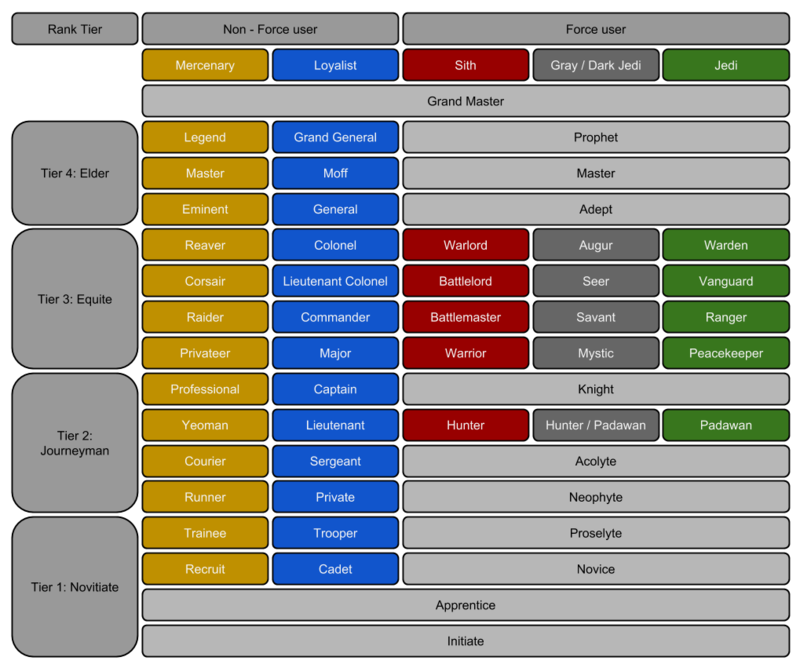 Likewise, there's no unified rank structure for "Grey Jedi" in Legends, because the Grey Jedi were not a formal organization, but rather a catch-all term for a large number of disparate groups. Everything below is Legends only; to the best of my knowledge, no rank-specific logos or insignia have migrated to canon, with the exception of the Youngling logo described in the answers below. It's worth pointing out that each insignia is a character in Aurebesh, the Star Wars in-universe alphabet; they correspond, in order, to the Aurebesh characters for "I", "P", "K", and "M". It seems a little odd to call these "insignia", and it's not clear how (or if) they're used in-universe, but there you go. These and the Temple's other clans are the roots of the tree that sustains us as an Order. 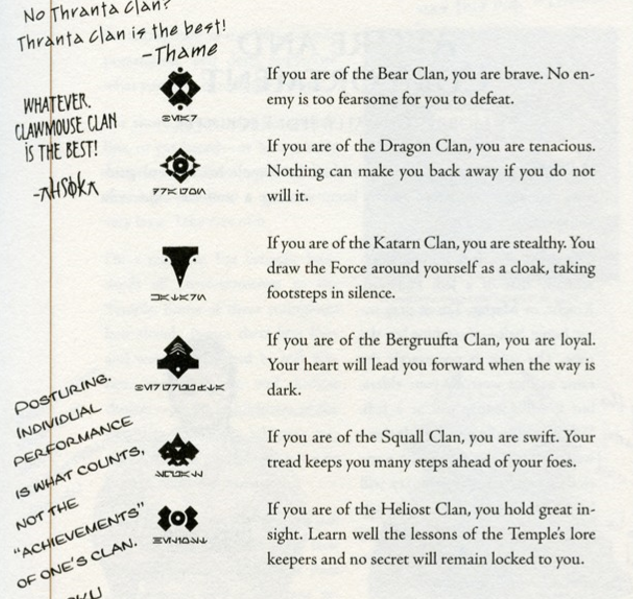 The Jedi Path: A Manual for Students of the Force Part 2: "Jedi Initiate" Chapter 1: "Joining a Clan"
The logos for these other clans, if they exist, are not recorded in this book. Youngling's Wookieepedia page provides a cleaner image. To address some of the comments, this does not appear to be an official Star Wars chart. 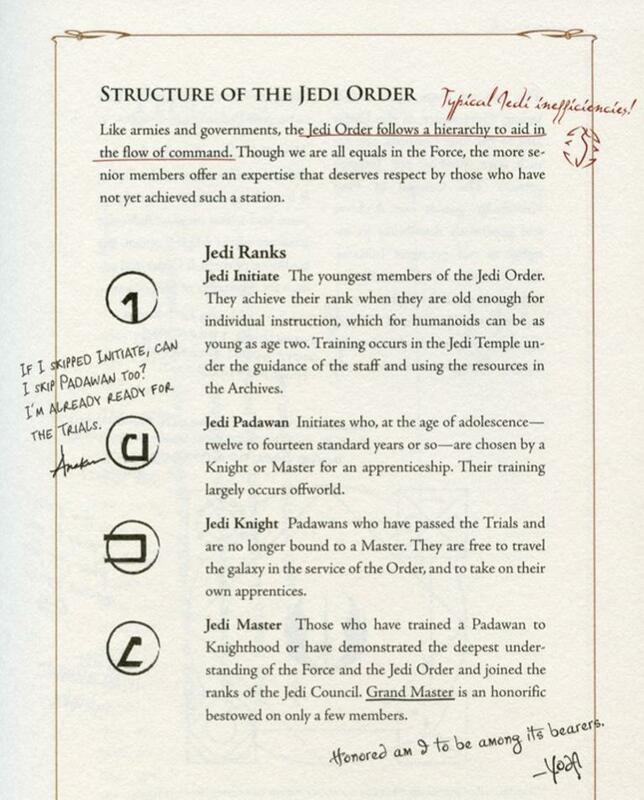 The Jedi Order has a symbol, but from what I could find the individual ranks do not. What are Grey Knights/Grey Jedi exactly? Are Children With a High Midichlorian Count Given A Choice By the Jedi? Why do Jedi trust the Force which isn't immutable? How are bad Jedi punished? What are the lower Rebel Alliance ranks? Only 20 Jedi left the Order? Why can't Jedi tell who can be mind tricked? How did the different ranks of sith compare to their jedi counterparts?